Shooting doesn’t have to be dangerous if it is used as a sport. 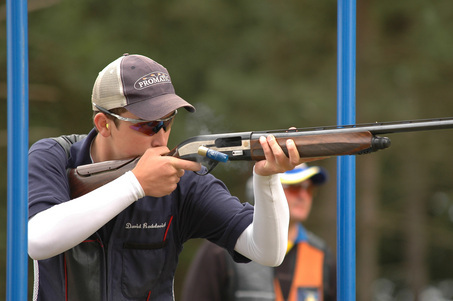 If you want shooting as a sport, you will learn its basics in a while. Before that, let it be known that Singapore’s Martina Lindsay Veloso won a gold medal at the recently concluded International Shooting Sport Federation (ISSF) World Cup. It was held in Munich Germany on June 8, 2014. Veloso was one of the youngest athletes (at the age of fourteen) who participated in the said World Cup. She previously won the Asian Championship held in Kuwait City. Her win gave her the confidence to face world champions like Katerina Emmons (2008 Olympic Champion) and Andrea Arsovic (2010 European Champion). The whole of Singapore is proud of her. Firearm safety: The tip here is to always treat your riffle as if it is loaded. Firearm safety is important because it can avoid accidents. Before using the firearm, you have to check it. You need to open the action and immediately examine its chamber. If it is not in use, do not load it. If you are using it, make sure that it is the proper ammunition. You also need to make sure that the barrel is clear of any blocks. Focus on the target: The muzzle should be pointed in a safe direction. It is imperative that you focus on your target. Focusing on the target takes a great precision and practice. You need eye and hand co-ordination to be successful. Stance: Shooting is not only the mastery of eye and hand. It also includes good stance. Your stance can affect how you fire the riffle. Learning the proper stance is not easy because you have to maintain the perfect balance. If you do it correctly, you can shoot precisely. Gun mounting: Gun mounting means correctly aligning the gun horizontally and vertically. If you are aspiring for major competitions, you have to practice at all times. You need a shooting coach if you are serious about shooting.